Many of the blog’s followers and myself included are crazy about fat. And why shouldn’t you be? Fat can be used as a source of energy, tastes great, provides brain clarity and best of all — it’s satisfying on so many levels. What many guides fail to explain is that there are different types of fats, and they should be considered when consuming. While a keto or LCHF diet are generally anti-inflammatory, there are actually some fats that contribute to inflammation and should be limited, if not completely removed from your dietary intake. Specifically, one should always take caution and avoid vegetable and seed oils. These oils contain polyunsaturated fatty acids (or PUFAs). The problem with these oils is the fact that they are more often than not, rancid. Rancid oils are concentrated sources of cancer-causing free radicals which decrease it’s nutritional value. Aside from being a black hole of nutrition, these fats have been shown to attribute to increased inflammation, aging and damage cell structures. 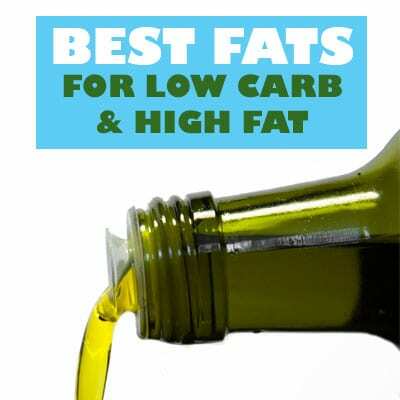 This article highlights the best fats for use in your low-carb, high-fat diet. If you take a look at the list above, you will see that a majority of the “bad” oils are plentiful in the Standard American Diet (SAD). Because of this, our ratio of Omega 3s to 6s is usually very unbalanced and they wreak havoc on our body. With these concentrated sources of omega 6s, chronic diseases can develop such as cardiovascular diseases, some cancers, arthritis and other inflammatory and autoimmune conditions. A recommended ratio of 1:1 is recommended. What are your favorite fats to cook with? Comment below!